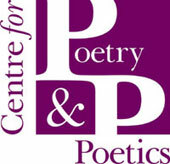 The Centre for Poetry and Poetics supports a strong tradition of live poetry events in Durham, including a series of readings each year at Durham Book Festival, for which it appoints the Book Festival Laureate. The Book Festival Laureate for 2018 is Jacob Polley. The Centre has a University-wide membership and a lively programme of readings, seminars and lectures.